Since 1971, Raveen Hair Replacement has been Greensboro’s local full-service expert on hair loss, hair replacement and hair care services. We offer non-surgical, fast, safe and affordable hair solutions for the men and women of Greensboro, NC, and the surrounding areas. Learn more about Hair Replacement Services. Losing your hair is a traumatic experience, made all the more so by the stigmas, misconceptions and general insensitivities that have become all too common. 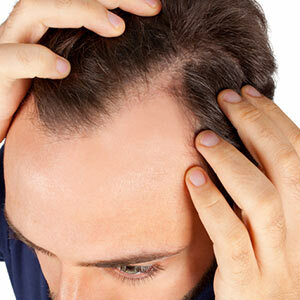 The truth is, hair loss is a frequent and widespread problem affecting both men and women of all ages, genders, nationalities and races, and its effects can devastate both physically and psychologically. Don’t let it destroy your life by hiding in shame, and don’t let yourself feel pressured into expensive treatment with unstable drugs or invasive procedures. Recognize the limitations of drug treatments and surgical options and explore the widely used option that has been singularly embraced even by the entertainment and music industry: natural hair-by-hair reconstruction. We specialize in non-surgical hair replacement in Greensboro, NC, to give you back your natural full head of hair without sacrificing your comfort or your dignity. We employ only a small, extensively trained staff of top stylists and technicians. Our staff is comprised of licensed barbers and cosmetologists. We offer free, private consultations. We use only the finest materials, products and equipment to ensure quality and safety. We proudly serve the Greensboro, Burlington, High Point and Winston-Salem areas.